1. The ground pressure is lees for its wider rubber track. 2. It can pass to another field easier with higher ground clearance. 3. The labor force can be saved with larger grain tank at capacity 200kgs. 4. 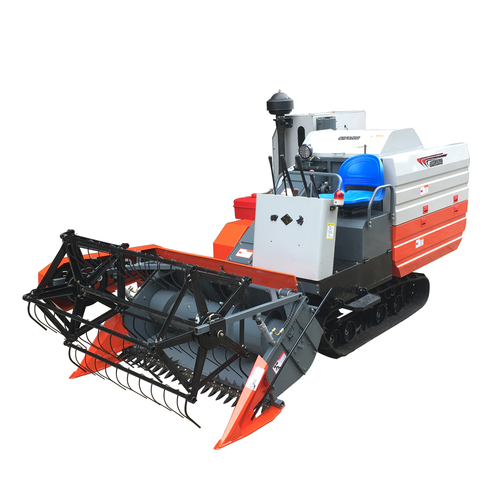 It is more suitable for harvesting with bigger four-bar reel. 5. The grain can be more cleaner with adjustably double sieving system. 6. The maintenance can be done conveniently by easily opening protective cover. 7. The hydraulic reel is equipped on the combine harvester.